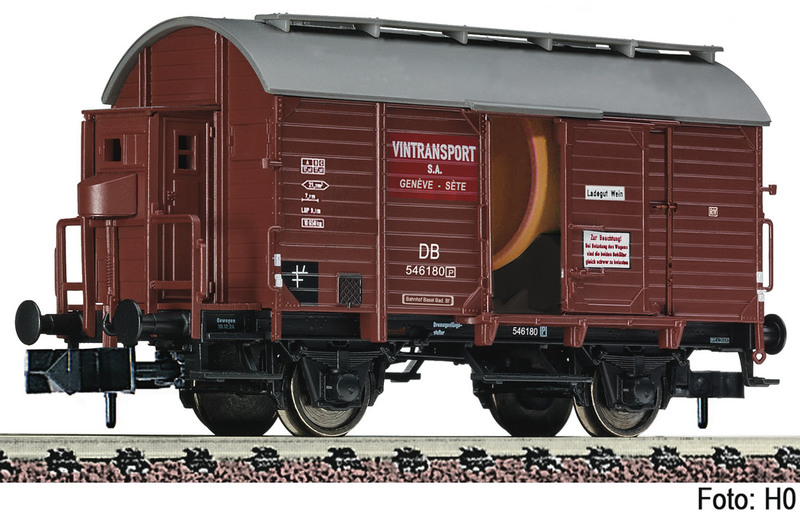 Model: Wine barrel tank wagon with brakeman's cab of the Deutsche Bundesbahn DB. Epoch III. The model with wine barrel replicas has two sliding doors. Coupler pocket according to NEM 355 standards and close coupling motion link. From 1919 the company MAN delivered a total of 553 wine barrel tank wagons to the German Weinkesselgesellschaft in Kitzingen and to other European countries. 180 tank wagons had a closed design.